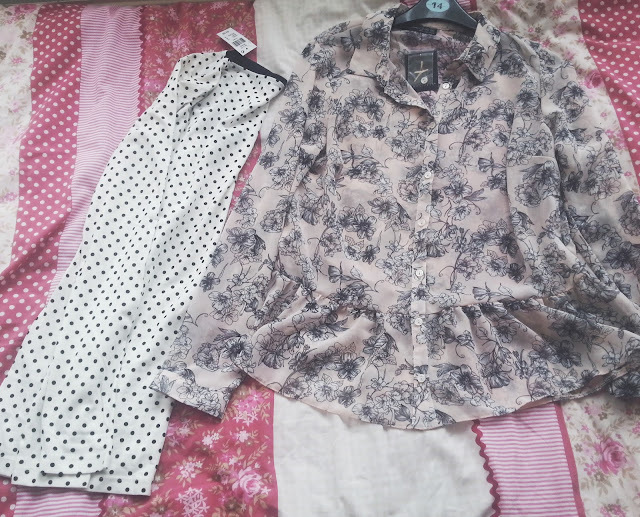 I did a tiny little bit of shopping in Primark the week, even though I went in with the mind set of buying lots of things I didn't because it was crazy and I just wanted to get out! The things I did pick up however have filled up that little bit of extra space in my wardrobe! The first place I went to was the shoe department, for some new wide foot flat pumps as mine are on the verge of collapsing! Primark have the cheapest ones compared to anywhere else in the world and even though they don't last very long, they are very very comfy! 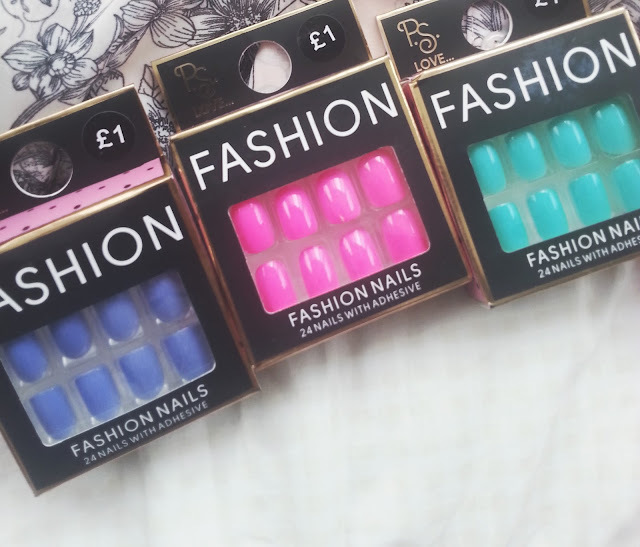 I then picked up some more nails and if you saw this post, then you will know that I loved the first packet I got and it was a no-brainer that I would be picking up some more. This time the patterned ones didn't appeal to me and instead I went with the plain coloured ones! Like I said, Primark was very busy and so I decided not to spend so much time looking around the busy areas and instead just picked up two things for myself. The first thing on the left is one of their basic t-shirts that has a lovely spotty pattern on, along with long sleeves so perfect for this time of year! 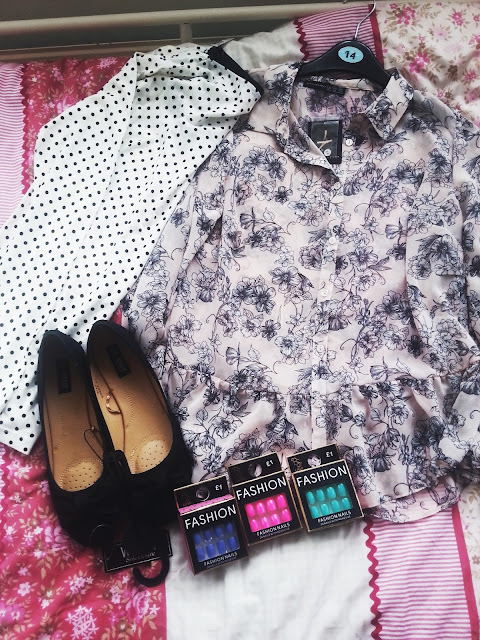 The other buy was a patterned shirt, not only is the pattern very elegant and nice but the shirt also has a peplum feature and looks surprisingly flattering on me! No doubt I will be going back to Primark soon to stock up on jumpers and boots! It's one thing that drives me crazy and actually makes me want to walk out, so busy and some unorganised. OCD in me is screamin. Oh you are so lucky! Wish Primark was here in Iceland. And the green colour on those nails is BEAUTIFUL!! !